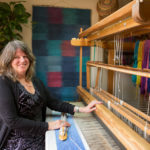 Established weaver Jacqueline James specialises in making hand woven, custom dyed rugs and wall hangings for public and private collections. 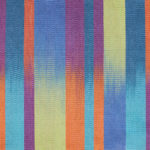 Harmonious colour combinations and striking patterns are both strong and distinctive elements of her woven designs. 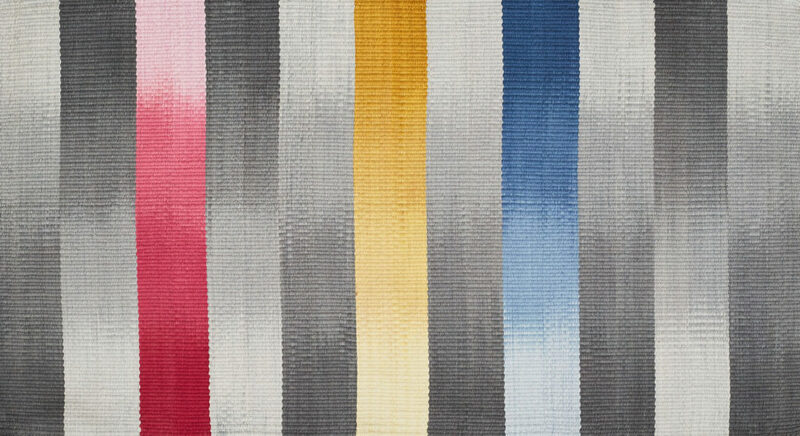 Each piece is exclusive and custom made in her York studio using a large Glimakra countermarche floor loom. Durable and natural wool or cotton weft and linen warp are used to create rugs which are colourful, contemporary and functional. She applies a variety of traditional, flat weave, weft-face weaving techniques, including shaft switching invented by Master Weaver Peter Collingwood OBE. 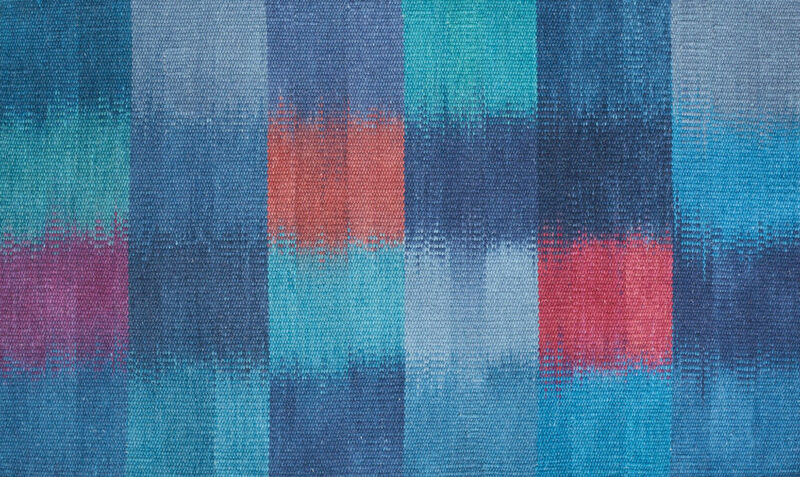 Her recent collection features several rugs made with hand dyed cotton weft yarns that are ‘painted’ with permanent dye before the weaving process to create interesting, yet unpredictable, unrepeatable colour and design effects. Jacqueline regularly collaborates with private collectors, interior designers and architects to create bespoke commissioned rugs for the floor and the wall. Her discerning perception of colour enables her to perfectly match the colour scheme of any interior. 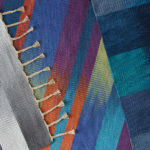 During her 30 year career as a textile artist she has exhibited and sold her rugs in prestigious galleries throughout the UK. Her work is in public and private collections in the UK and North America. 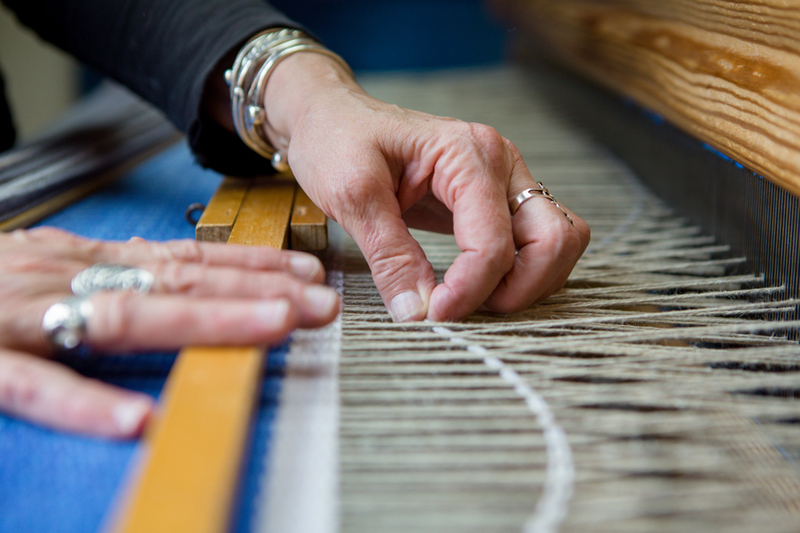 Major commissions include weaving for Westminster Abbey, York Minster and The British Library. Jacqueline has received several awards and bursaries including a Theo Moorman Trust Bursary. This wonderful opportunity enabled her to begin her journey of exploring, experimenting and discovering how to create beautiful colour hues and gradations with dyes, which continues to inspire her rug designs today. Jacqueline has also been very kindly checking through all the links on The Weave Shed, many of which were broken through the site being hacked, and she has been sending the updates and finding new resources to put up. This work has been invaluable – Thank you. Photo credits:Hands and Jacqueline sitting at her loom: Olivia Brabbs Photography. This entry was posted on Sunday, January 28th, 2018 at 10:00 am	and is filed under Company Profile, General, New weave developments. You can follow any comments to this entry through the RSS 2.0 feed. You can leave a comment, or trackback. Thank you Philippa for posting this and for all the wonderful work you do (voluntarily) to run the excellent Weave Shed website. It was my pleasure to contribute to this fantastic online resource for professional weavers and textile artists.